I love all things feminine and romantic. I’ve always been known as a girly-girl who loves makeup, all shades of pink, pearls and shiny things, stilettos, and pretty dresses. So there are certain simple pleasures that I enjoy like drinking my Diet Coke from a pretty glass, wearing the most amazing perfume (even if I stay in yoga pants all day), taking a bubble bath with candles and soft music, and sitting at my pretty vanity to do my makeup and get ready for the day. 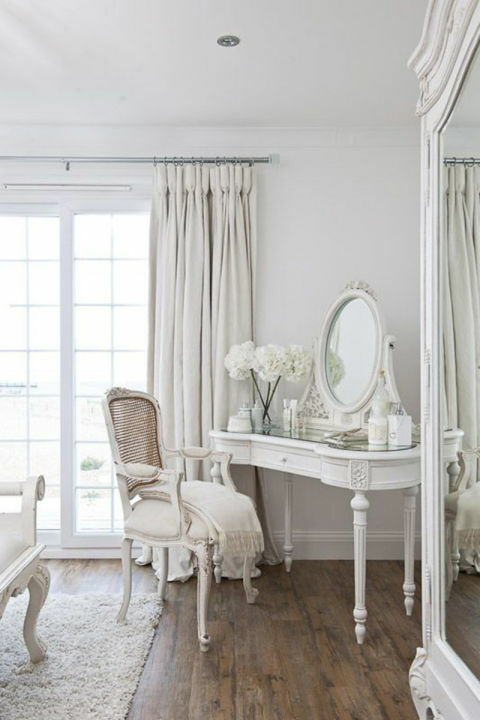 So, I thought it would be fun to share some inspiration with you today and show you some of the prettiest vanities I’ve been swooning over and pinning on my Pinterest boards (Dressing Rooms & Vanities and Displaying Jewelry & Perfume). I recently shared my Updated Vanity and I do love it so. But here are some that really make me swoon! In my Updated Vanity & Bedroom Tour post, I also shared this photo above that is one of my favorites. Jennifer Lawrence recently purchased this stunning home from Jessica Simpson and one of the reasons she loved it so much was because of this gorgeous vanity. Isn’t it everything?! 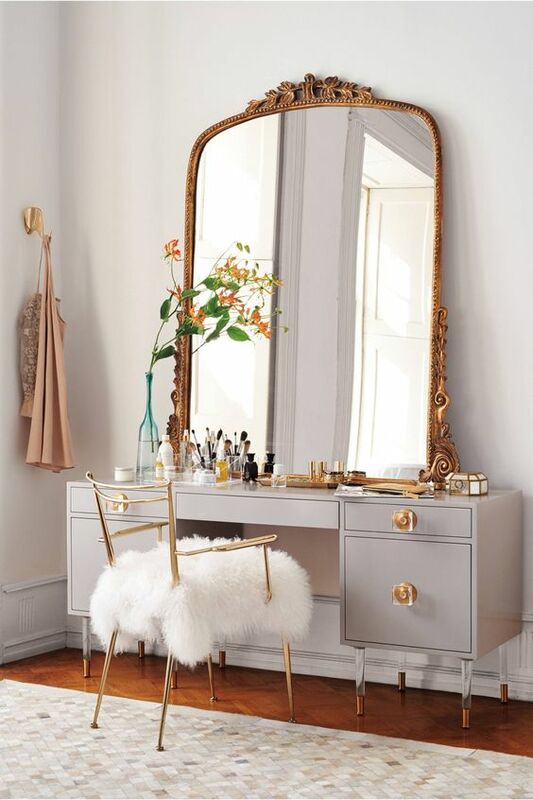 This Vanity, Mirror, and Dressing Chair from Anthropologie make the most dreamy and cozy vanity. 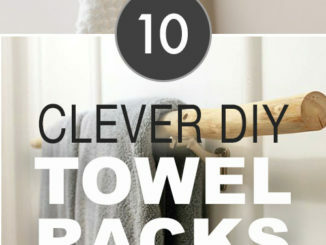 I also love the way they used the wall hook to hang a pretty silk top. 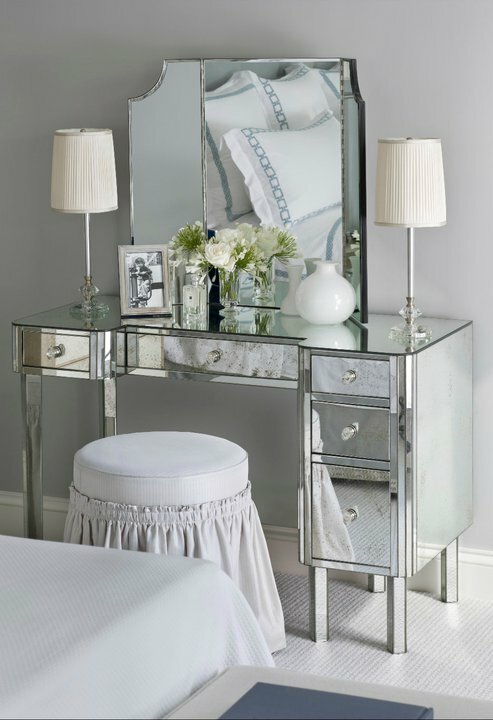 This floating mirrored vanity by Susan Glick Interiors is such a lovely contemporary space. I love the acrylic legs on the white sheepskin vanity stool. I always love a mirrored vanity and Kimberly Seldon Design Group added the perfect detail by choosing a tufted vanity stool. I can imagine Scarlett O’Hara sitting in something like this. Can’t you?! 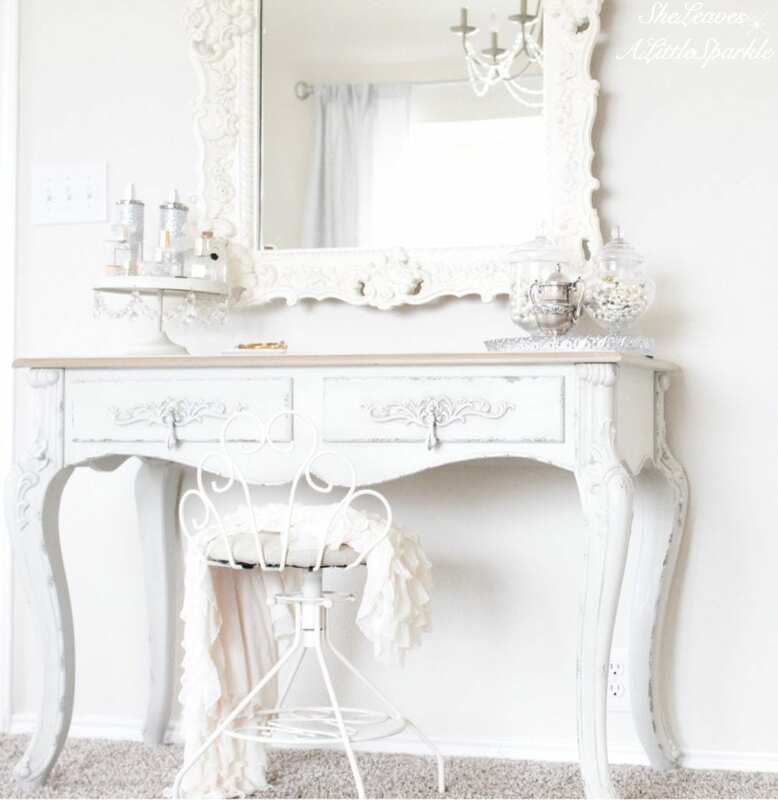 Another fabulous vanity! I love the round stool with the ruffled skirt. This one is by Susan Nunnerley Design. 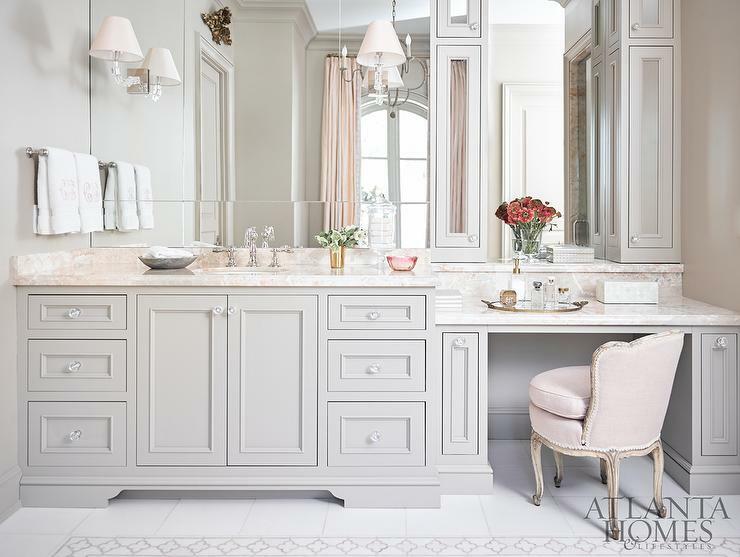 This pretty light grey vanity sits just off the ladies’ sink, found on Atlanta Homes. There are actually pink tones in the marble and notice the exquisite pink drapes in the mirror. 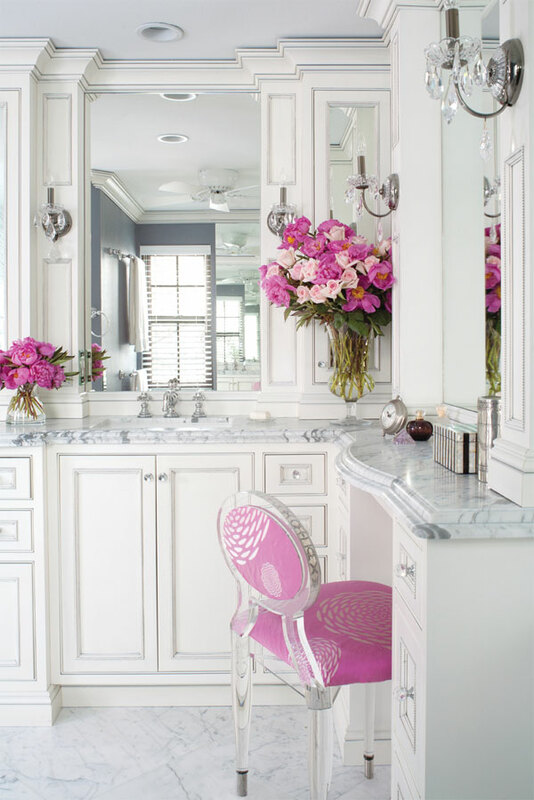 But my favorite part is the light pink velvet French vanity chair. Oooh la la! Since we’re talking about vanities just off the sink, check out this one by Carrie Hayden. 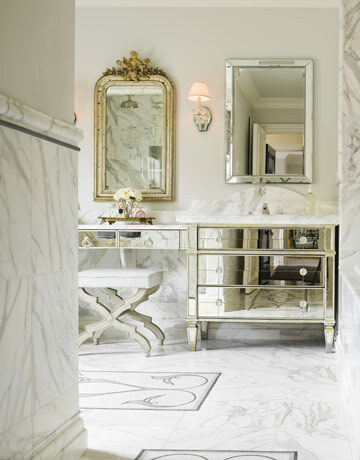 The mirrored vanity and marble top is divine but the gorgeous cream x-base stool just gives it and added touch of elegance. Oh, and that mirror too! Swoon! Ok, Stacey Cohen Design knocked it out of the park with this one! 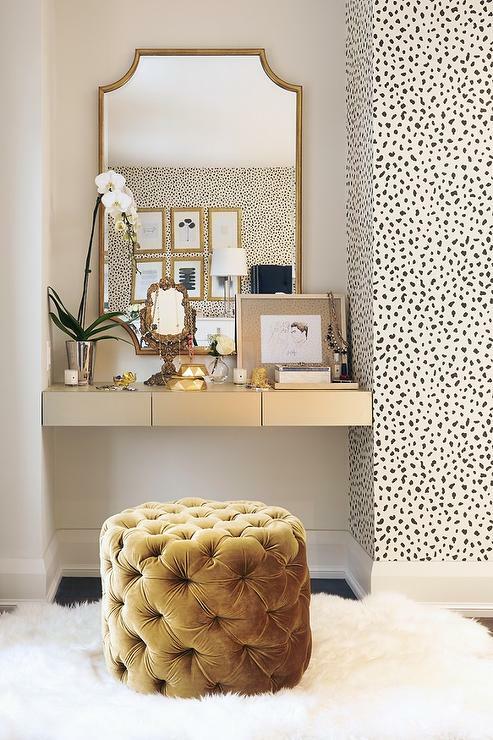 The fabulous spotted wallpaper with gold tones and tufted pouf and faux fur rug are just beyond dreamy! I’ve had my eye on that mirror too for quite some time. 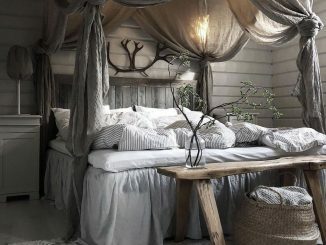 Some shabby chic French inspiration via Harpers Bazaar. This style never gets old to me. I love it so much. Isn’t that just the prettiest little corner?! Now this vanity, enveloped by white carerra marble and crystal chandelier sconces, has the prettiest “barbie pink” accents. The pink floral chair with lucite trim and legs is perfectly paired with the most gorgeous shades of fresh pink flowers. I know it’s not for everyone, but for a pink-lover like myself, it’s to die for! It reminds me of something Lisa Vanderpumpwould love. Pottery Barn Teen makes some very lovely vanities, perfect for any tween, teen, or woman! The one above is called The Hampton. 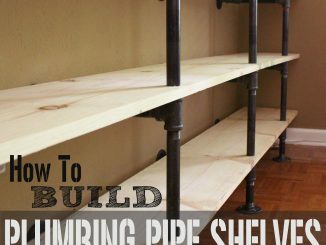 They not only have great storage spaces but can also double as a desk or study area. This is The Chelsea. 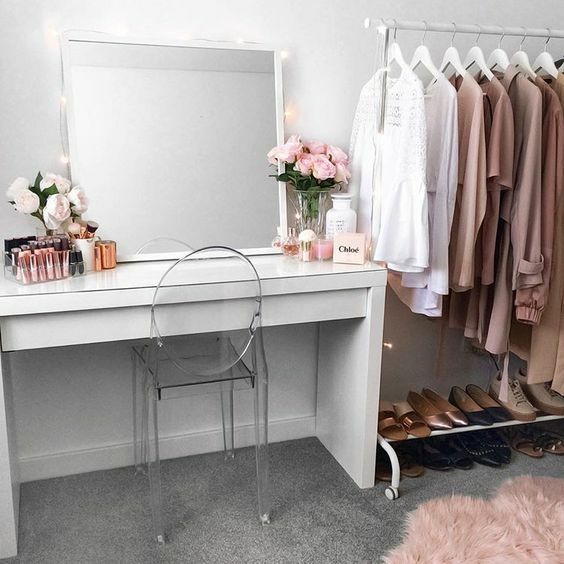 This lovely vanity has all the right blush tones. It’s clean and simple and functional. And I always love a ghost chair! 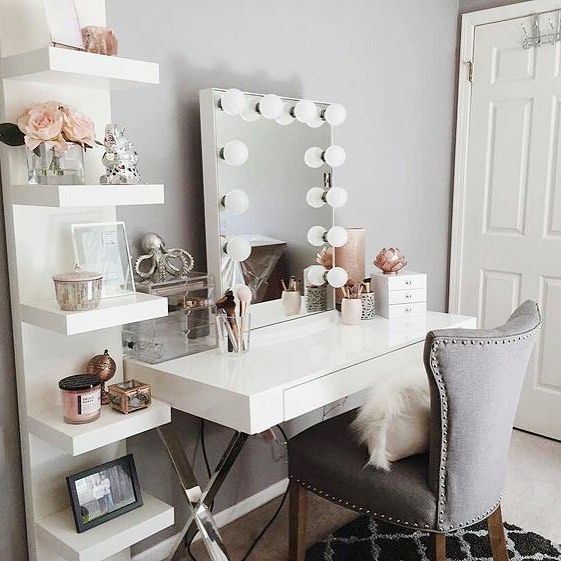 This is the perfect vanity for any beauty blogger with plenty of places to store your brushes and cosmetics. I’ve looked everywhere for the original source. If you know, please let me know so I can give credit. 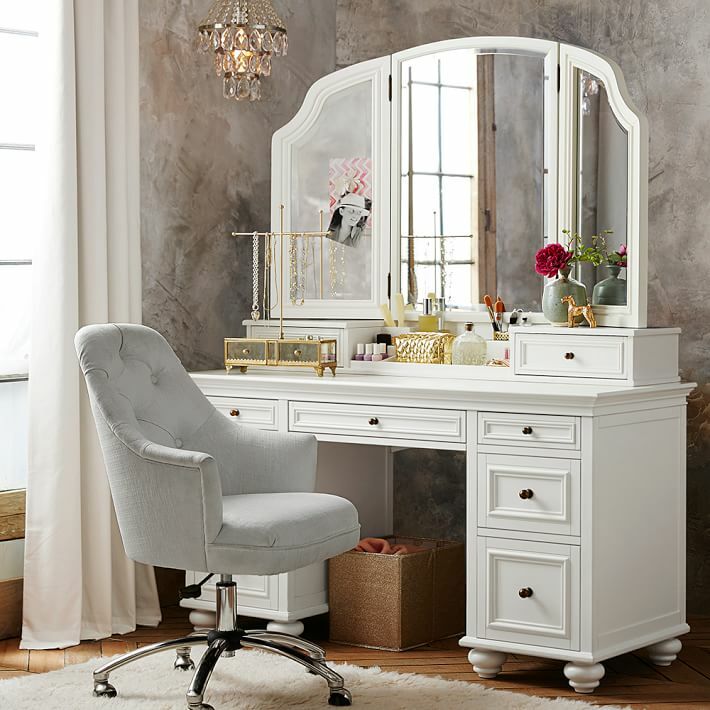 This fabulous vanity goes Old Hollywood style with the lightbulb mirror, tufted vanity chair and oh-so-gorgeous rose quartz-colored dupioni silk drapes. It’s perfect and glamorous. And those ballet slippers on the side…..brings back memories for me. So, are you feeling inspired yet? 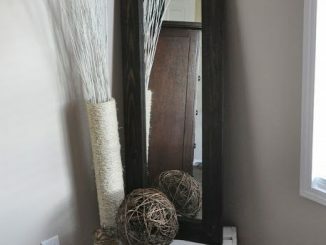 Here are some great shopping sources below for vanities, mirrors, benches, and items to help display your pretty things. Also check out my post called Adding Glam To Your Boudoir and see how I displayed my jewelry and makeup. Thanks so much for joining me today! I would love it if you subscribed at the top of the page in order to receive my weekly emails of all my latest posts. You can also follow me on Instagram, Pinterest, and Facebook to see what I’m up to in creating a home and lifestyle of inspiration! Hope to see you soon!